Oh my! Most of us who have mistletoe do NOT want it! It is so difficult to get rid of! Ahh it’s why us Brits are so much more romantic, trying to get kisses under the mistletoe etc also I think it’s a big more vigorous with you as well isn’t? Perhaps the Brits just need a bit more help with that sort of thing. 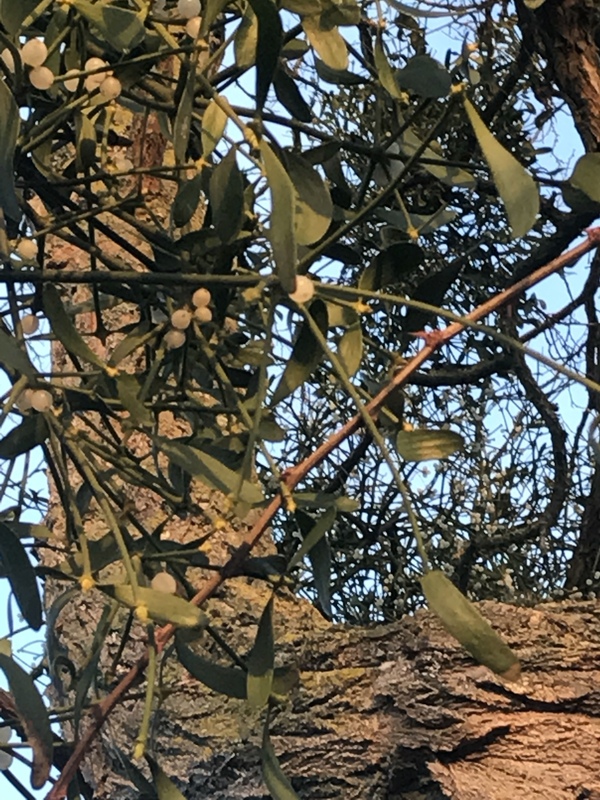 I do not know how vigorous mistletoe is there. Here, it can be seriously disfiguring to certain trees. Some live with it better. Love the lore! This article is so informative. Thank you for expanding my brain! Thank you ! Very interesting article Thomas! … I laughed when I learned the English name of the druid in Asterix …! 😂 I din’t know that each country had its own names … for us it’s ‘Panoramix’ the Druid!